New Abbey is a village in Kirkcudbrightshire, Dumfries and Galloway, south-west Scotland. It is around 8 miles (13 km) south-west of Dumfries. The summit of the prominent hill Criffel is 2.5 miles (4.0 km) to the south. 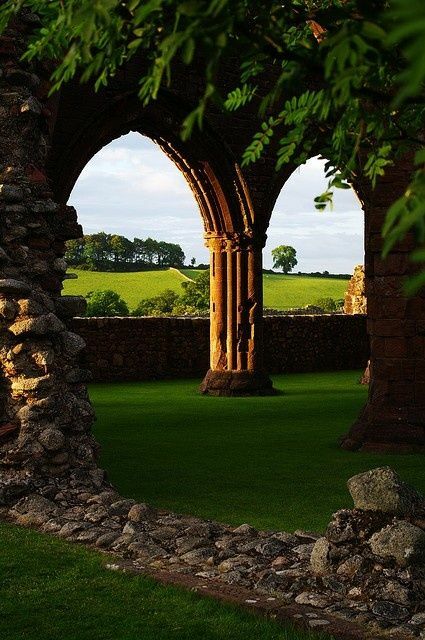 The village has a wealth of history including the ruined Cistercian abbey Sweetheart Abbey, founded by Lady Devorgilla in 1273 to commemorate the death of her husband John Balliol. The monks named the abbey dulce cor (Sweetheart Abbey). The village has a watermill, the New Abbey Corn Mill.